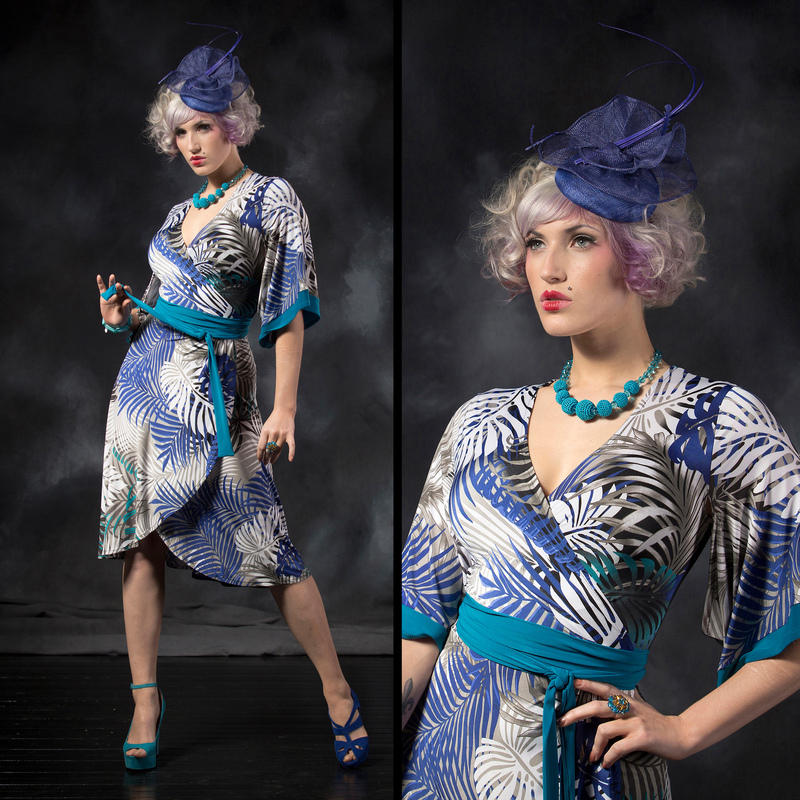 Hana is wearing the Kyo Kimono Wrap Dress in BLUE FERN/jasper and custom Sprinkle necklace and headpiece. By popular demand, the Kimono sleeved wrap dress is back in a new incarnation! The Kyo Kimono Wrap Dress features regal sweeping lines, contrast borders and Obi ties.